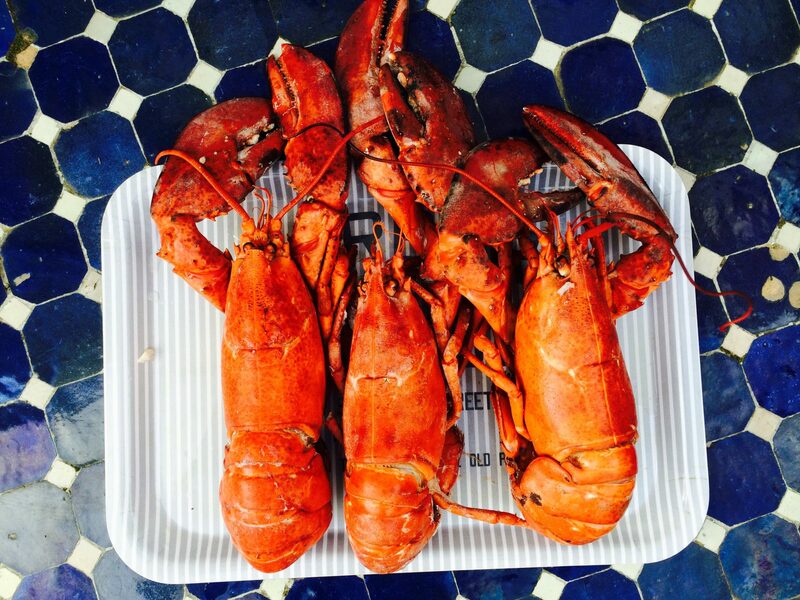 Lobster lined up and ready to be transformed into lobster pasta. The below lobster pasta recipe, an adaptation of a recipe I found in Bon Appetit, is deliciously creamy and simple to make. I was using previously frozen lobster meat vs live lobsters so I had to improvise quite a bit vs the original lobster pasta recipe but the dish still came out lovely. In lieu of lobster bodies and shells to help build/flavor the sauce I used clam juice. I also used linguine instead of spaghetti and halved all the ingredients to make a smaller portion. I made the sauce a day ahead and then the leftovers hung out in our refrigerator for another day before we finished off the dish and the flavor just got better and better with time. Given my experience, I definitely recommend letting this lobster spaghetti sauce sit for at least a day before serving. Cook and pick the lobsters. Heat the oil in heavy large pot over high heat. Add reserved lobster bodies and shells. Sauté 3 minutes. Reduce heat to low. Add tomato paste; stir 3 minutes. Stir in tomato, sherry, vinegar, garlic, tarragon and thyme. Add cream; boil 2 minutes. Reduce heat to medium-low. Simmer just until lobster flavor infuses cream, stirring occasionally, about 20 minutes. Add lobster meat to sauce and keep warm over a very low heat. Meanwhile, cook pasta in large pot of boiling salted water until just tender but still firm to bite, stirring occasionally. Drain; return pasta to pot. Add sauce; toss over medium-high heat until sauce coats pasta, about 4 minutes. Season with salt and pepper. Transfer to large shallow bowl and serve.